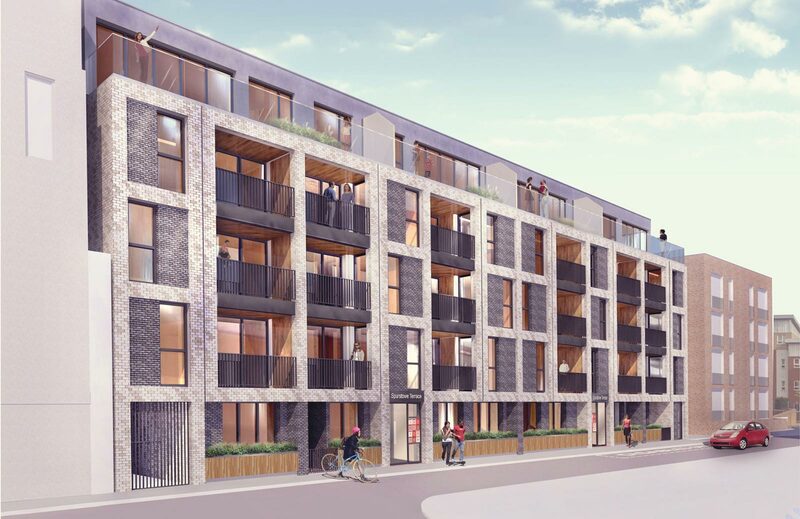 Situated in Hackney, Spurstowe Terrace is a new mixed use residential and commercial scheme, in reaching distance of Hackney Downs station, achieving planning permission in 2014. 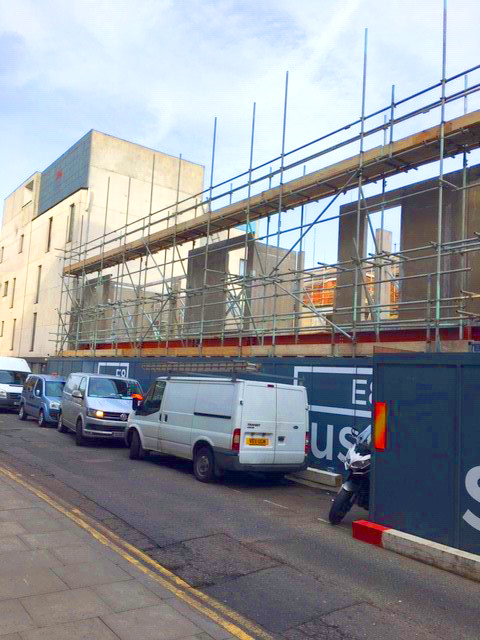 The project comprises 24 residential flats with penthouse flats with 272 Sq. 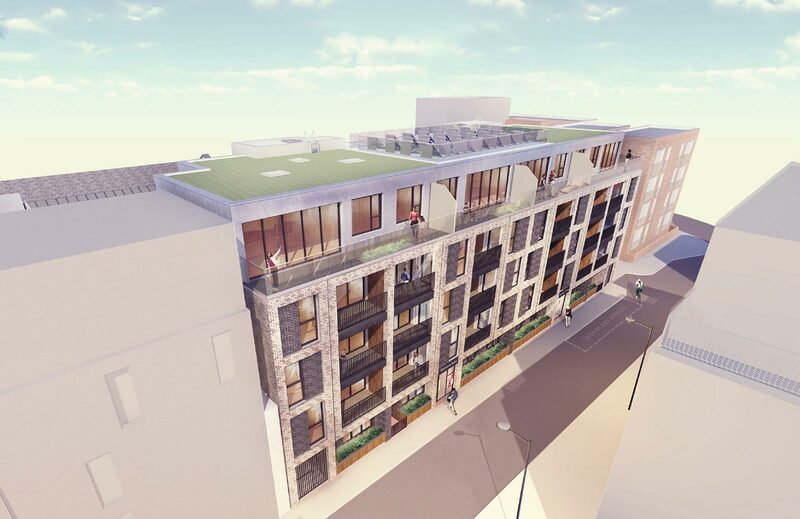 M of B1 office space at ground floor, providing suitable space for local start up companies, the scheme adds to the growing regeneration of Hackney. 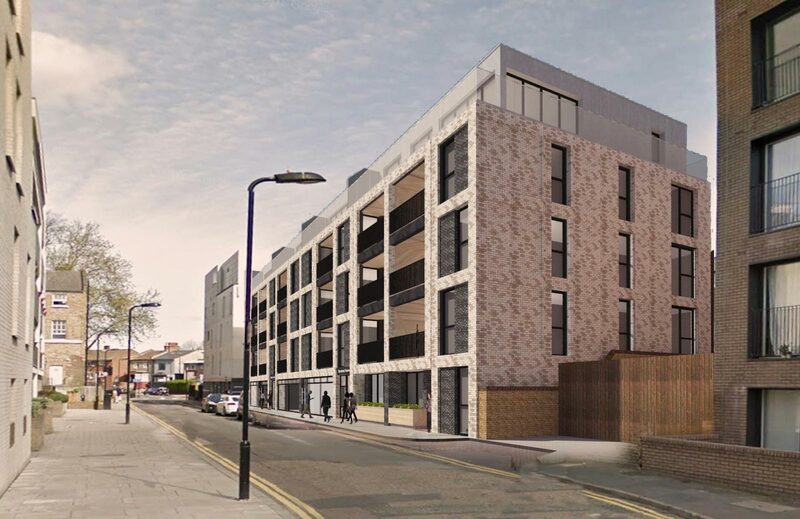 The project involves the demolition of a disused 1970s training building and the complicated planning process dealt with overlooking, light and massing issues to achieve a successful design to compliment the area.